It’s a literary job hazard- Easy puns. I hate it sometimes but will allow this exception as my segue way into my next point. Judging from their pop up store display of subtle, elegant and immensely comfortable menswear basics – The Hentsch Man Summer 2011 collection is real easy on the eyes. While it’s true that the sartorial leanings of Alexia and Max tilt towards slim form flattering classic looks, the Hentsch Man haberdasher’s code spares no expense on detail; what it does do away with is overkill and over design that seem to plague other menswear designers. 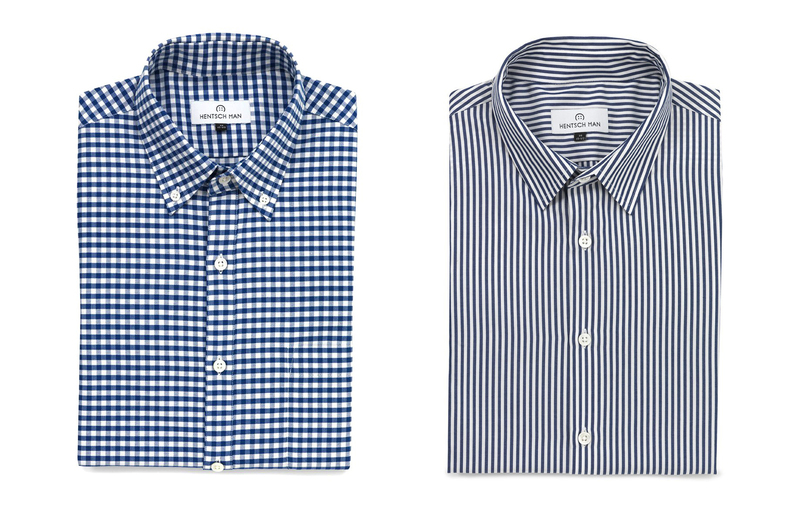 Simple, slim-fitting button-down Oxford shirt with a single-button cuff, front plaquette and breast pocket. 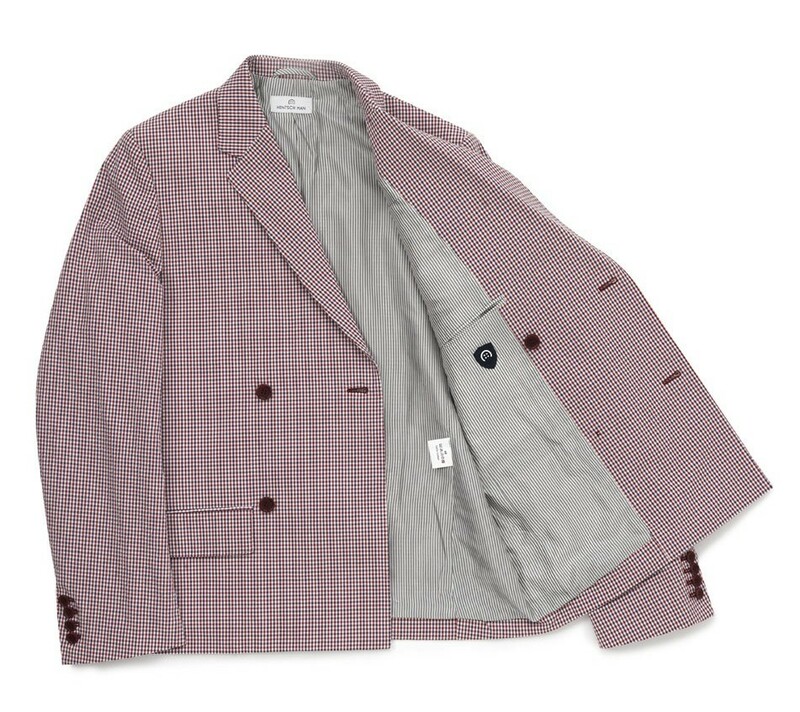 While The Monsieur would not recommend Hentsch Man for any serious work (criminal jobs included ), they do have many well designed summer pieces perfect for an increasingly dour 2011. Whether you’re looking for a one off quirky piece for casual style or a perfect classic white shirt- Hentsch Man is a concise collection of complete looks for stylish men about town. From Venetian velvet slippers to Gregory Peck-esque glasses, this 3 year old brand will join the ranks of names synonymous with effortless chic (mob bosses need not apply). The Bobby Specs have been designed with a slight nod to 1950; a classic, small frame shape. The glasses come in a choice of four colours (black, red, tortoise and gray) and finished in a matt coating. The inside of the specs are lined in the Hentsch Man pink hue. Handmade in Italy. Slim-fitting casual blazer with external pockets and single vent. Slim-fitting, flat-fronted, tapered seersucker trousers with double back pockets.100% cotton seersucker. Slim-fitting, above the knee shorts. Simple cut and fit, single back pocket. Slim-fitting double breasted seersucker jacket with single vent. 100% cotton seersucker.